“About the general connection between Christianity and politics, our (the demon’s) position is more delicate. Certainly we do not want men to allow their Christianity to flow over into their political life, for the establishment of anything like a really just society would be a major disaster. On the other hand, we do want, and want very much, to make men treat Christianity as a means; preferably, of course, as a means to their own advancement, but, failing that, as a means to anything—even to social justice. When I read the above statement written by C.S. Lewis in 1941, it took me several moments to wrap my brain around the concept presented. I then had to read the letter a second time, then a third, then I waited for our group of friends to come to our house in the hopes that someone would unpack it for me. When I read this post at Cardus.com, my mind almost exploded with the range and depth of thought that was given to this idea of social justice. Read through the theories slowly and carefully and take a moment to chew on the difference between social justice and social charity. Without doubt, “Social Justice” is a buzz word and it seems to have been one for centuries. It sounds noble to claim that we are for social justice, but the fact is it is a phrase without a real definition and you cannot really back up the notion of social justice scripturally. In today’s modern society (particularly Western society), social justice is quickly followed by a list of those things we believe to be rights and we all seem to have a mountain we’re ready to die on when it comes to social justice. It has become so prevalent to fight for the modern social justice, that even the Church as a whole is separate on the issue with I myself taking part in the noise. But lately I’ve had to pause and ask the question: Is social justice demanded of us by God? Did Jesus fight for social justice? We’re told in Acts 2 that the early church was “together and had all things in common; and they began selling their property and possessions and were sharing them with all, as anyone might have need.” It seems to me, as I read through this passage, that this is a picture of the church operating in Love, not under some forced and false notion of social justice. Perhaps the most common argument used by Christians when trying to define social justice is the fact that Jesus stood for Love and if Jesus is Love, then we must be that as well. This is true, but do Love and social justice go hand in hand? I think, again, it depends on how we define social justice. What are your thoughts on this issue? 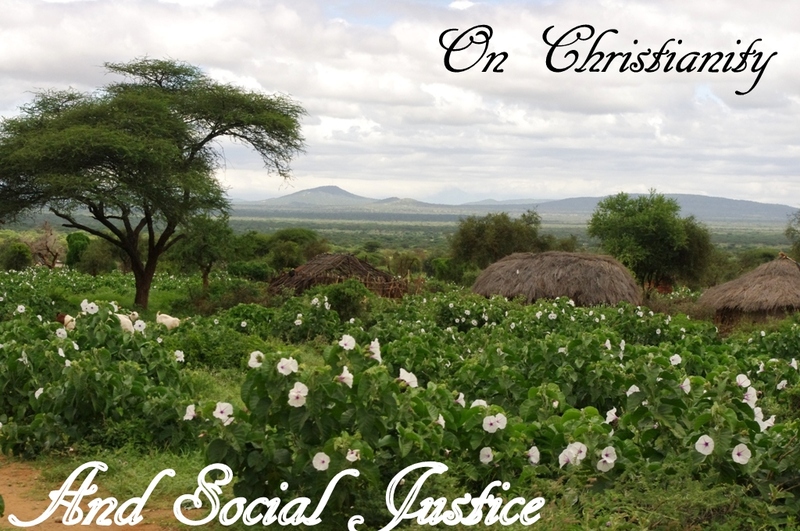 How do you define social justice and within the paramenters of that definition, how do you apply it to your faith? What does it mean to Love and serve others as Jesus commanded of us? I’d love some discussion on this because my brain spins when I try to grasp it. Update: The term I’m looking to discuss is “social justice,” which I believe is entirely different than the term justice as defined by God. We are definately called to seek justice, but how have we warped that calling? We have politicized and twisted the idea of justice and made it a thing that is to be held in the same hand as faith.